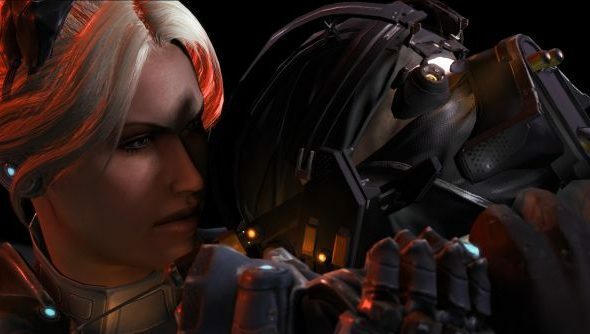 What to expect from StarCraft II’s DLC? Frankly, I’m surprised it even exists. 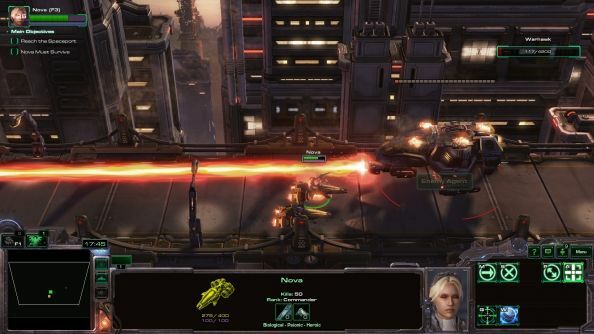 As the franchise descends into the second tier of eSports and the RTS genre as a whole goes through its deadest period in history, most developers would be happy with calling it a day after three of the best strategy campaigns ever made. Try another of the best strategy games once you’ve finished. Not so. Blizzard rarely do anything by half measures, often taking the time to perfect something for far longer than their community would like. Covert Ops isn’t a few maps hastily assembled and sent out for a cash injection, it’s the start of a whole new campaign that’s just as well sculpted, voice-acted, animated, custom-modeled and carefully designed as the ones we’ve had so far. The only thing it isn’t, to my eternal sadness, is quite as long. Nova operates as a separately upgradable hero unit, akin to Kerrigan in Heart of the Swarm. Rather than mutations, she acquires new gear from missions, scavenging them from objectives, sometimes optional, sometimes just on the route through a mission. While to start with she’s a relatively ordinary Ghost, permanent cloaking and more powerful sniper rifle notwithstanding, she’s quickly kitted out with a whole arsenal of grenades, jetpacks and the like. Depending on the mission and stage within that mission, this equipment is either forced upon you for a specific purpose or picked at the start of a map. Obviously it’s due to expand in the coming episodes, but I could already have a grenade-tossing, permanently stealthed, psi-blade wielding ninja or a wall-climbing, shotgun-packing killing machine. Each plays completely differently, and you’ll shape them based both on your preference and the demands of a map. The same is true of your army, each unit having a selection of equipment it can take, some of it shared with others. Both tanks and Reapers can equip spider mines for example, the former using them as a protection tool, the latter as a way to harass even more. But if you’re using the mines on your tanks, then they can’t have jump jets to move between levels of terrain and change position in siege mode. Of course, it also leaves your Reapers far less effective. Every one of these options gives the unit a new personality and dimension. They’re all ludicrously overpowered of course, and drastically unfair for the poor AI running constantly into them. But that’s the fun of StarCraft’s singleplayer, and why it was divorced so heavily from the competitive 1v1 game – a computer doesn’t mind that I’ve made an invisible wall of hugely damaging explosives with units it could never catch. What may surprise some is how much time is spent in a more traditional RTS setting. While Nova is the focus and the hero of the (predictably ludicrous) story, you spend an equal amount of time across the three missions building units and mining resources as you do navigating corridors with her in commando missions. Unlike Warcraft III, this really plays to StarCraft’s strength, effort having been put in to make the base management side of the game as pain-free and fun as possible, even for lesser-skilled players. They’re varied too. In one you defend an allied base from a position in the mountains, Nova and co using jetpacks to take out foes that vastly outnumber them through cliff-hopping shenanigans. You’ve not got much to work with and keep your force supplied while dashing about. The next is larger scale, gives you a bigger arsenal to work with as well as a fairer playing field for your enemies. This is only half the mission though, as when you successfully capture key areas of the map, Nova leaves to descend into an underground base and is on her lonesome once again. It’s the farthest I’ve seen Blizzard push the SC2 editor, and paired with all the tech options each is unique. There’s a whole section where you dodge helicopters, trucks and attack bikes on a highway Nova is escaping down, managing abilities to make sure everything dies before you’re taken out. Yes, it feels slightly jerry-rigged and it’s brushing up on the edge of what’s possible within the engine, but I’ll take the odd fun-but-dodgy segment over resorting to another skirmish map. 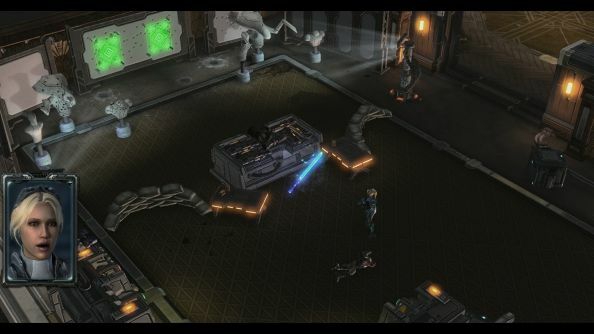 When they were first announced at Blizzcon, I thought for a brief shining moment that Nova Covert Ops was going to be the return of Ghost, that Blizzard had fixed the input lag issues that stopped third-person shooters operating properly in the SC2 engine and were remaking their cancelled sci-fi MGS-like as DLC. It’s not that, but it’s probably better. Nova never did get her own story, and this is far more fitting with the talents of the team making it. Assuming it maintains these half-hour missions of great quality, it will prove a great and valuable follow-up to SC2, and hopefully set the stage for many more years of bite-size DLC at a reasonable price.